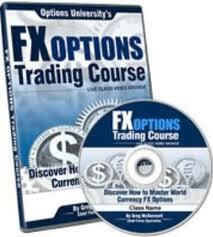 From a choice of underlying financial markets, foreign currency options trading would have to be the most obscure. Although forex options are the most highly traded derivative in the world by volume, most of it is done 'over the counter' by banks and not through exchanges available to the public. 1. Find a market maker (usually a bank, like Saxobank) that offers vanilla options as part of its suite of trading instruments. "Vanilla options" is the term used to describe regular option contracts that come with all the usual pricing components, as opposed to the more exotic types. 2. Explore the futures market and look for options on currency futures contracts. These operate in a similar manner to commodity futures options. Most reputable options brokers include these in their selection of tradable securities. 3. Choose binary options associated with the forex market. Binary option contracts are generally very short term trades with an "all or none" outcome. Each of the above approaches involves a different set of rules including varying leverage, structure and outcomes. Vanilla options from a market maker would be the most straightforward and anyone familiar with stock options should quickly be able to transfer the principles across to this method of foreign currency options trading. Futures contracts already have leverage built into them, so currency futures options means leverage upon leverage. You should first understand how these deals are structured so that you can correctly calculate your potential risk to reward ratio. Binary options are more often than not, intraday trades - for example, you may believe the AUDUSD will exceed parity by 2pm today. If you are correct, your binary option contract could return over 100 percent profit; if not, you may only receive about 10 percent of your investment back and the contract is concluded. Whatever your preferred choice of foreign currency options trading, your success or failure will depend on your knowledge of the various factors that drive the underlying forex spot market, including economic news and announcements about things such as interest rates, employment, GDP output and the like - all of which can dramatically affect currency pair exchange rates. In addition, you should know that foreign currencies trade "around the clock" five days per week. There are times when the forex market is prone to move some currencies quickly and decisively - including the London and New York opening times for the USD, the GBP and the EUR. Any other currency in association with these three "majors" will be affected. On the other hand, the JPY, AUD and NZD are sensitive to the Asian session, when the Tokyo and Singapore markets open. 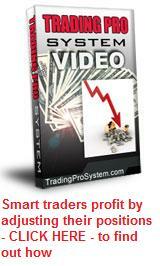 Between the opening of all markets you get the quieter trading times, which are more suitable for scalping strategies. Foreign currency options trading strategies can also include using the options greeks such as the "delta" in combination with holding position sizes in the forex spot market that bring the delta back to neutral. The principle is similar to stock option delta neutral trading strategies. A final word about forex options - do your homework, understand exactly how your forex options trading system works by paper trading with your chosen broker or market maker for a few months before committing any real money.